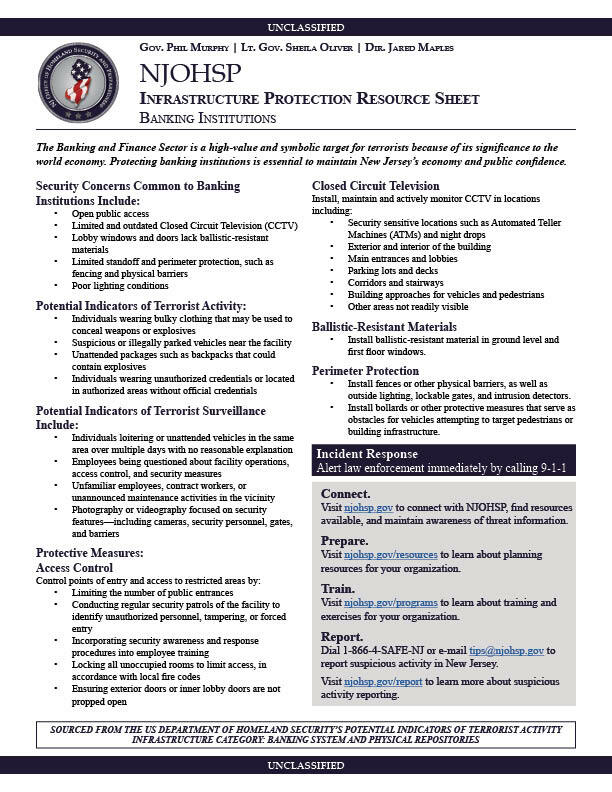 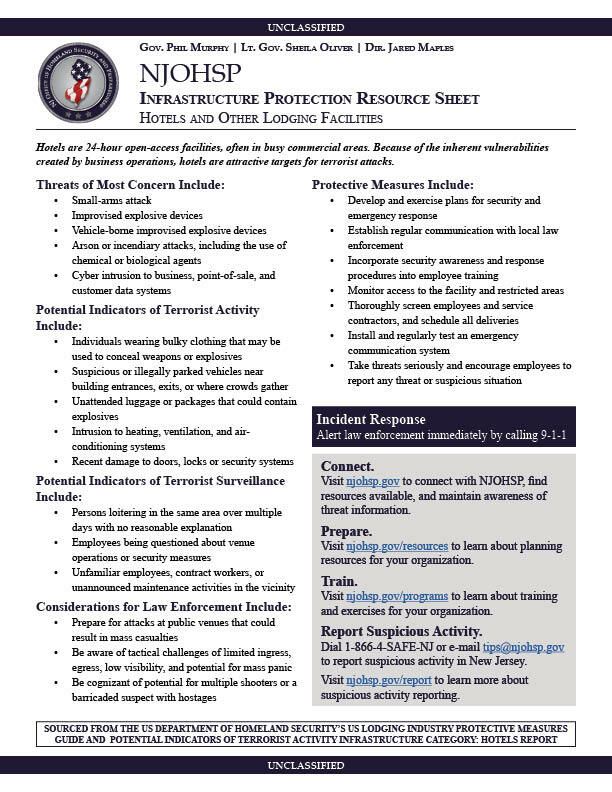 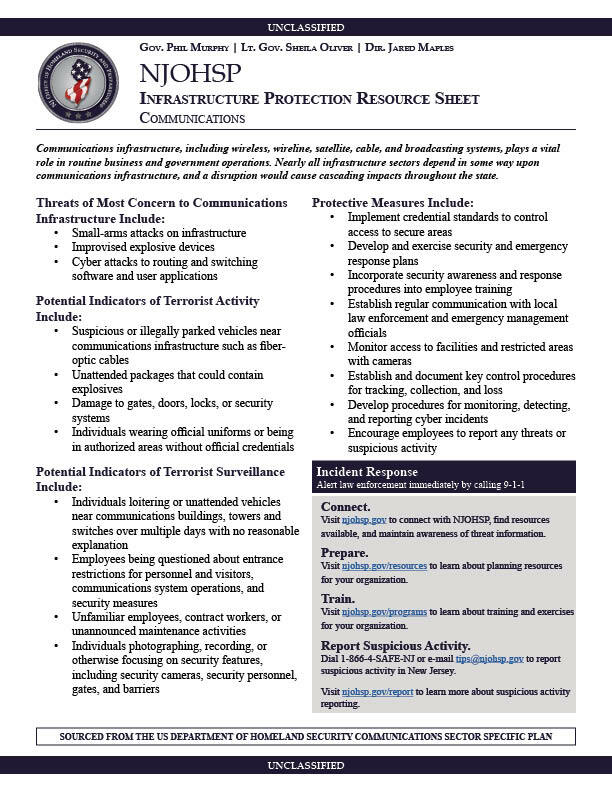 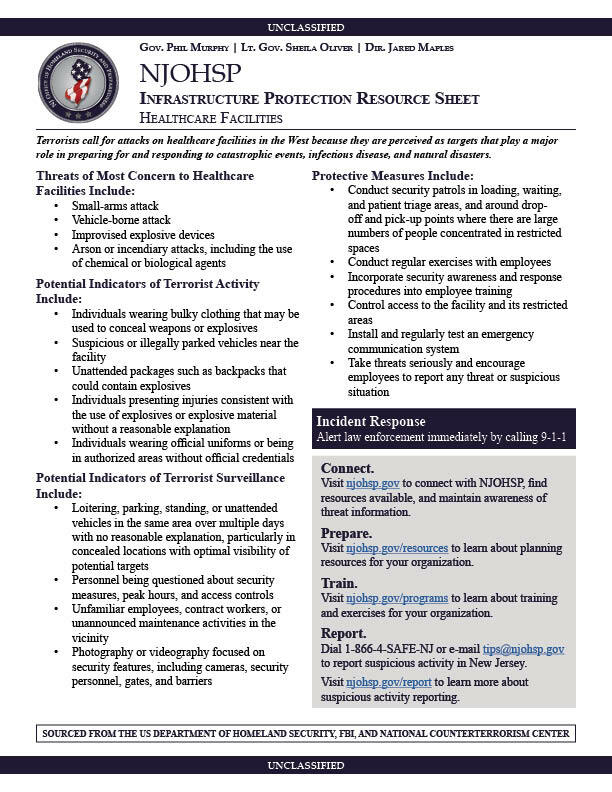 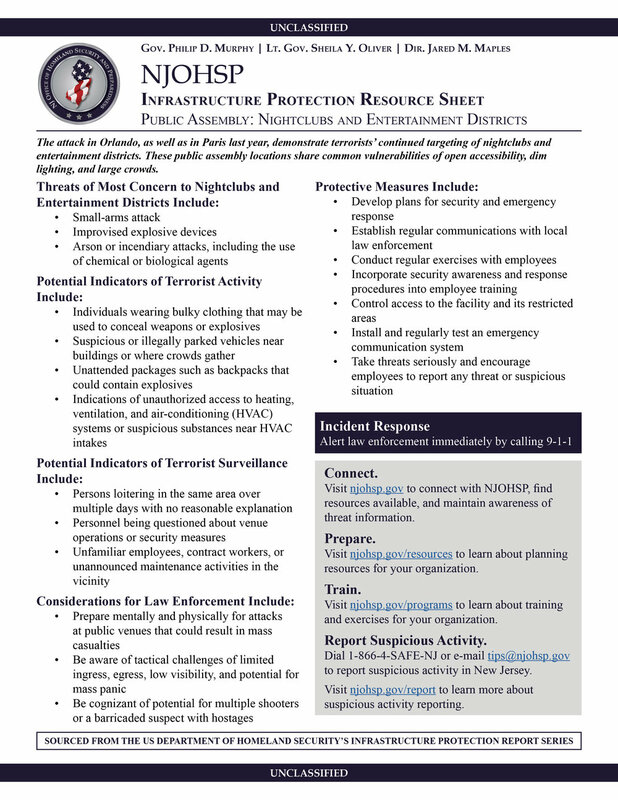 Visit njohsp.gov to connect with the Office of Homeland Security and Preparedness, find available resources, and maintain threat awareness. 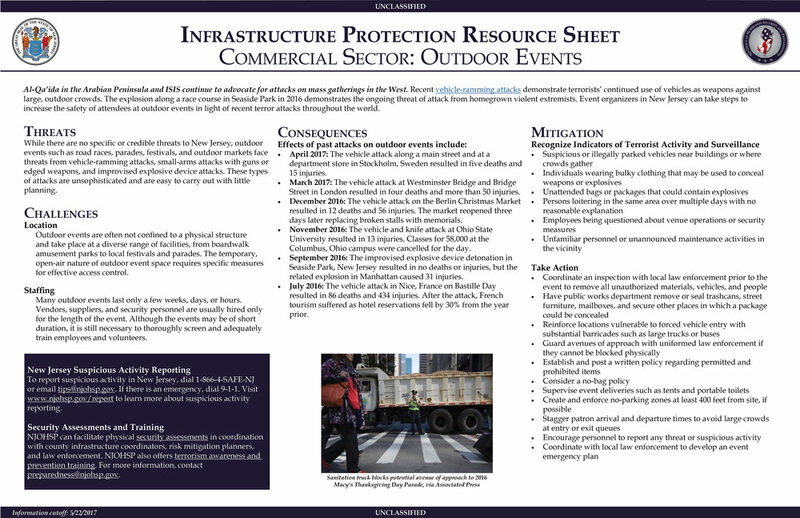 Visit njohsp.gov/resources to learn about planning resources that are available for your organization. 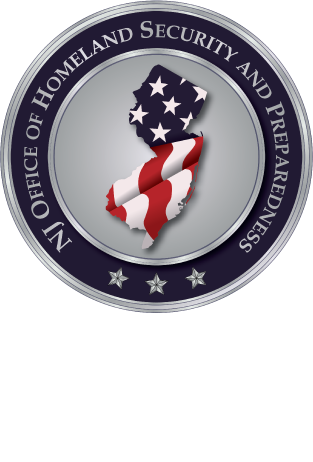 Visit njohsp.gov/programs to learn about training and exercise programs that are available for your organization. 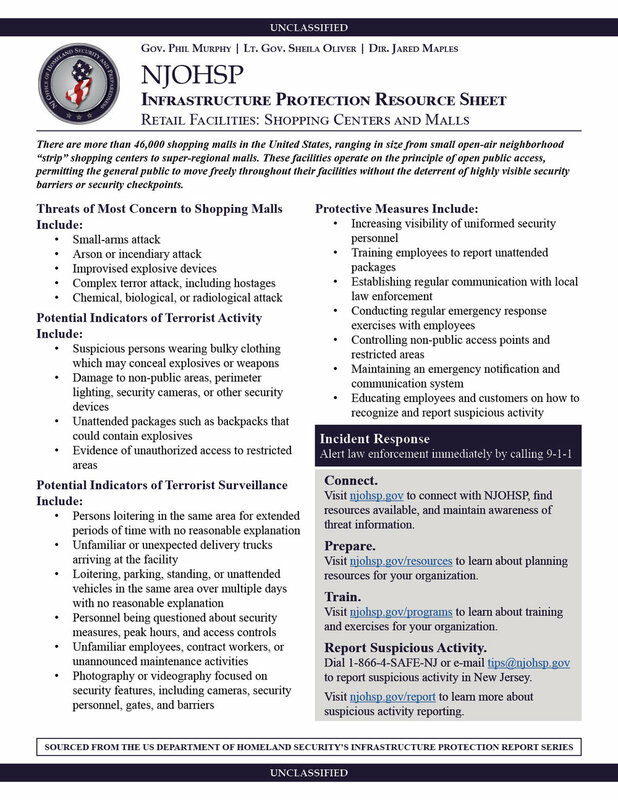 Dial 1-866-4-SAFE-NJ or e-mail tips@njohsp.gov to report suspicious activity in New Jersey. 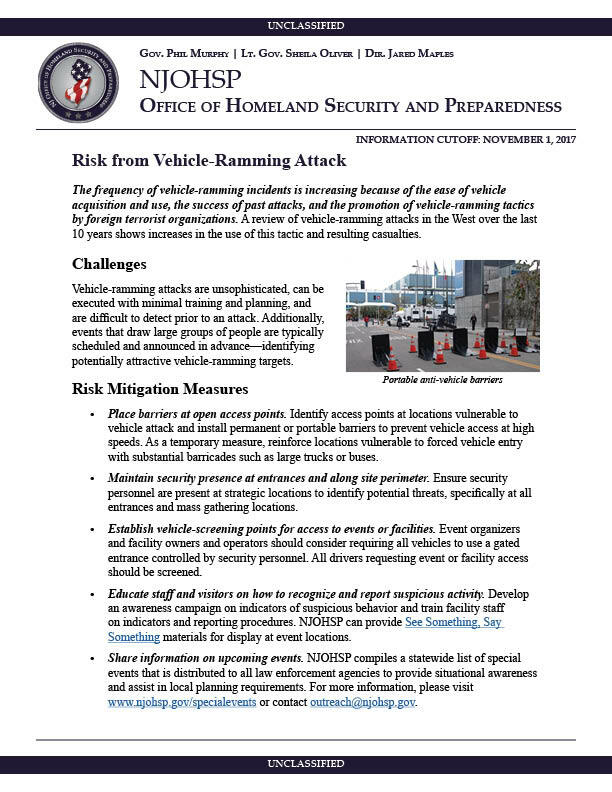 Visit njohsp.gov/report to learn more about suspicious activity reporting.